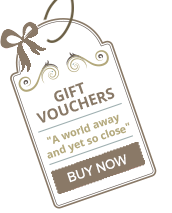 Why not blow off the cobwebs after Christmas and join us for a Post Christmas Family Break. Why not treat your Family to a Resort Houses Family Break. Self-Catering Resort Houses at Mount Wolseley Hotel, Spa & Golf Resort, offer our Guests a perfect home from home experience. A perfect location for a Fun Family Holiday, the Resort Houses are fully equipped with everything you would need for a family break away. Guests can enjoy complimentary use of our Leisure Facilities; a 20-meter swimming pool and a children's pool. Children can also enjoy our Outdoor Facilities - Playground, Zip Wire. Small children can use our Soft Playroom and Family Den, while teenagers can use the Teen Zone which is fully equipped with Games and Snooker Table. Please see below the details for the Santa's Elf Club - running from Thursday the 27th of December to Saturday the 5th of January. A two-course Dinner will be served for all children, taking part in the Santa Elf Club, served at 5 pm each evening. If you book a Post-Christmas Family Break all of the above activities are included in your package.